Trading Spaces star Laurie Smith focuses her interior design expertise on home lighting in a new video series. How can I determine the correct amount of xenon bulbs to place under a wall cabinet? A good rule of thumb for calculating undercabinet lighting for xenon bulbs is to use approximately 54 watts per 6 square feet of cabinet or counter surface. For example, a surface that is 10 feet long and two feet deep equals 20 square feet. Divide 20 by 6, which gives you 3.33 (round down to 3). Therefore, you would need 3 xenon bulbs at 54 watts each. The variety of shapes, styles and colors of light fixtures can make choosing difficult, which is why talking to a lighting expert at an ALA-member showroom is helpful. Popular interior designer Laurie Smith stars in a new video series about home lighting. Each of the four videos focuses on a different aspect of incorporating lighting into a design scheme. 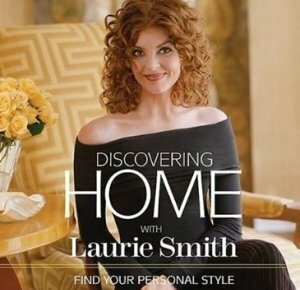 Known for her clean lines, symmetry and classicism, Laurie wrote the book Discovering Home with Laurie Smith, and appeared regularly as a featured designer in the hit television show Trading Spaces (2000-2008).